We take the pleasure of introducing ourselves as a vibrant upcoming innovation lead company. Convertz Technologies (I) Pvt. Ltd. established in 2006 is one of the solution providers with a long-term vision, to expand the eye of innovation to remarkable horizons and to become a prominent player in the global technological arena. We combine domain knowledge, process skills and a technology heritage to offer our clients predictable, ‘no-surprises’. We are developing automobile safety products with a long-term vision, to expand the eye of innovation to remarkable horizons and to become a prominent player in the global technological arena. Convertz Motoreye, an electronic speed governor works on advanced microcontroller based technology, designed as per Automotive Industry Standards (AIS 018/2001) and COP (conformity of Production) vide Type Approval Certificate TAC No. AA1835 as per (AIS 037) it has been tested and approved by Automotive Research Association of India (ARAI), Pune. Motor eye is suitable for fitment on all types of commercial transport category vehicles and also for transport vehicles of educational institutions. 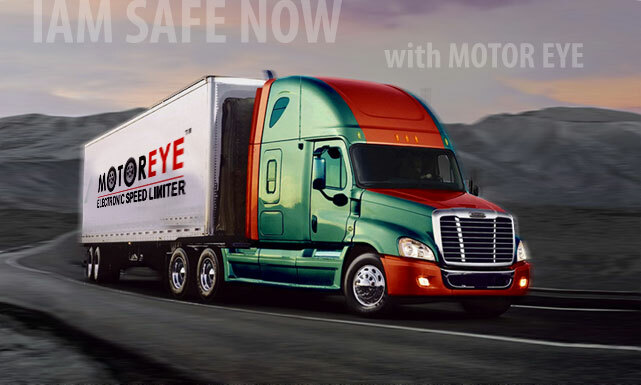 Motoreye is 100% tamper proof with precision parts. Convertz for internal and external quality deliverables uses automotive standard GPS based Speed calibration through V-BOX - 10Hz UK and the first speed governor manufacturer to have this kind of equipment in the country. V-BOX is a powerful instrument used for measuring the speed and position of a moving vehicle. It is based on a new generation of high performance satellite receivers and will measure speed, distance, acceleration, lap time and much more. V-BOX is internationally recognized as a quality standard in the measurement of speed and distance for performance and brake testing. Convertz Technologies is in line with the company standards of the coke and there requirements ending up with a superior affiliation with Coke past 3 years. Convertz has installed speed governors for the Coke vehicles in Andhra Pradesh, Punjab… and a regular supplier of the Retro reflective tapes. Quality management team with vision and proven execution skills. Convertz is into areas of Manufacturing and trading business with a range of products. Convertz is an ISO 9001-2008 Company, certified by TUV SUD for QMS. The only and the 1st speed limiter manufacturer in Andhra Pradesh extending its network across 15 states in India and has installed more than 34000 units on vehicles running across India. Company has an Installed capacity of 10000 units per month with dedicated qualified production team. Follows Six sigma standards to ensure Quality output. 45 Trained and qualified company payroll service team, spread across states of India supporting, in fitment , providing training and updating the new trends in the technology front in the related product for our distribution network.